Views from the deck of 11-Mile Reservoir, within walking distance from this well cared for maintenance free exterior cabin. 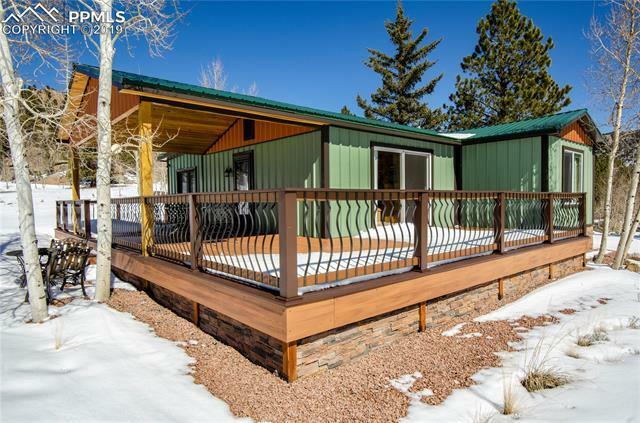 With a metal roof and siding, stone veneer foundation surround and Treks decking. This adorable cabin is a fisherman's dream. Bring friends, family, grandkids for a weekend fishing trip. Get away from the city and know the maintenance work is done. Just enjoy the recreation and rest in your own lake cabin for fishing. Rent it out and let it pay for itself.